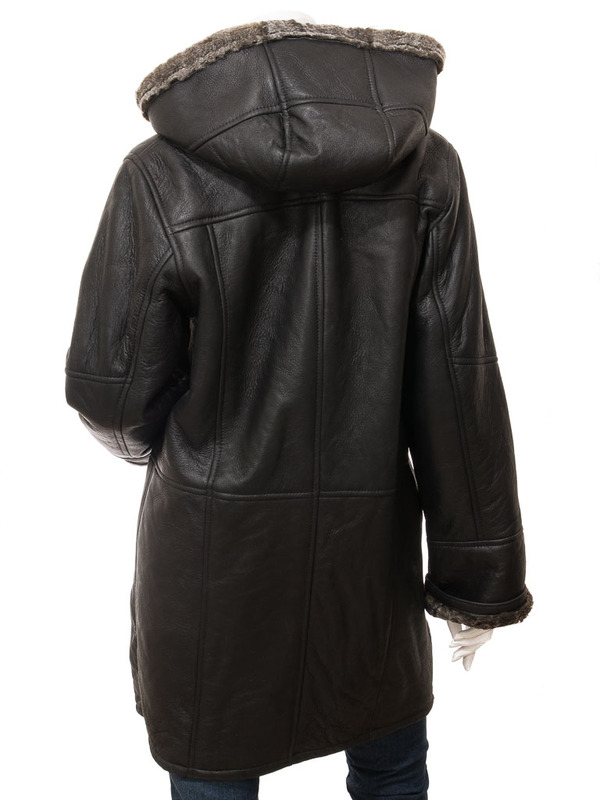 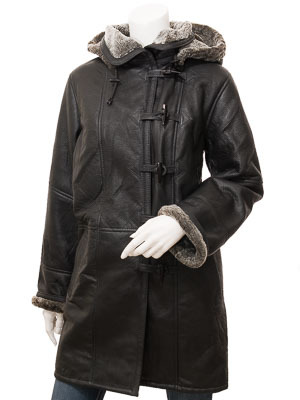 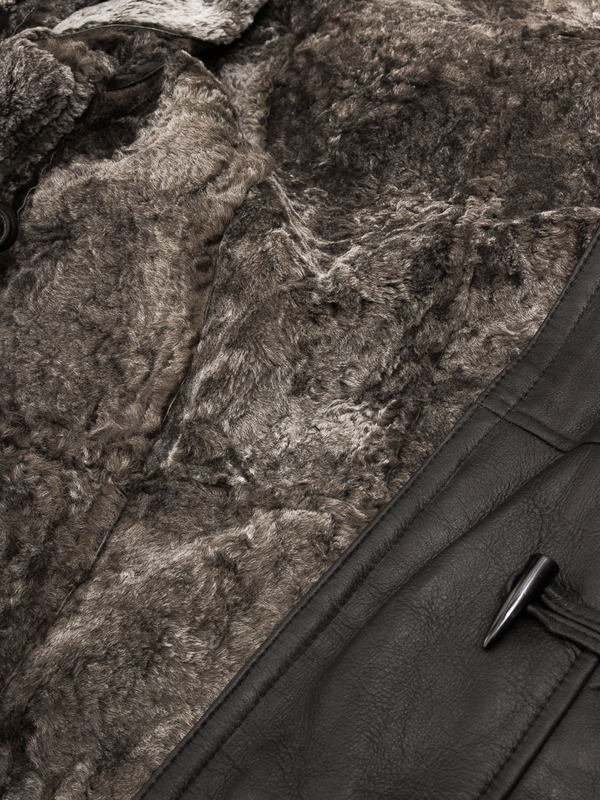 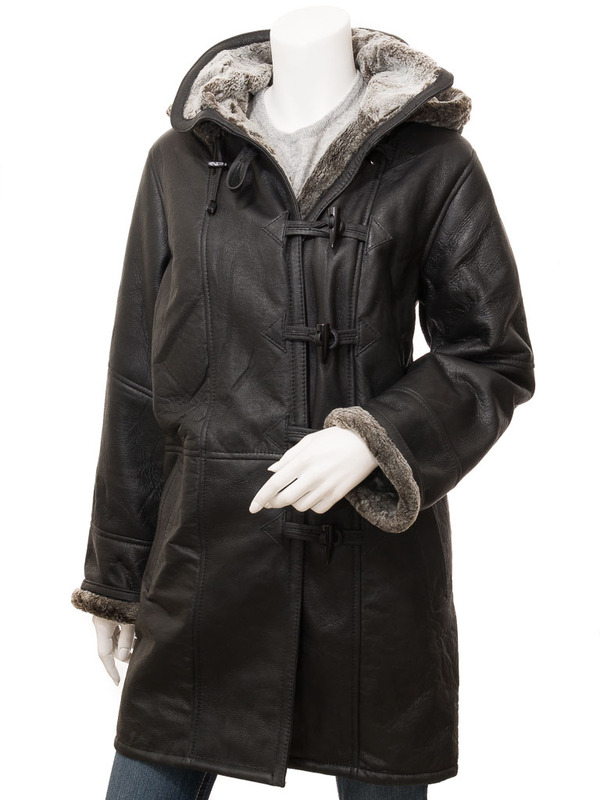 A gorgeous, black, shearling, sheepskin duffle coat with detachable collar. Designed for the coldest British winter this coat is made from double faced sheepskin so the interior is lined with the soft, warm woollen fleece of the skin. 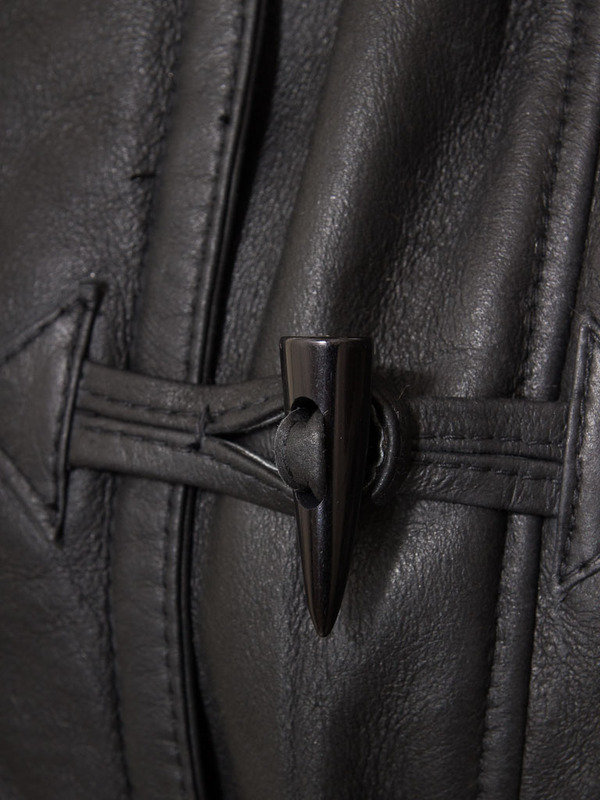 It is fastened with traditional toggles on leather loops and includes two deep pockets at the hip. 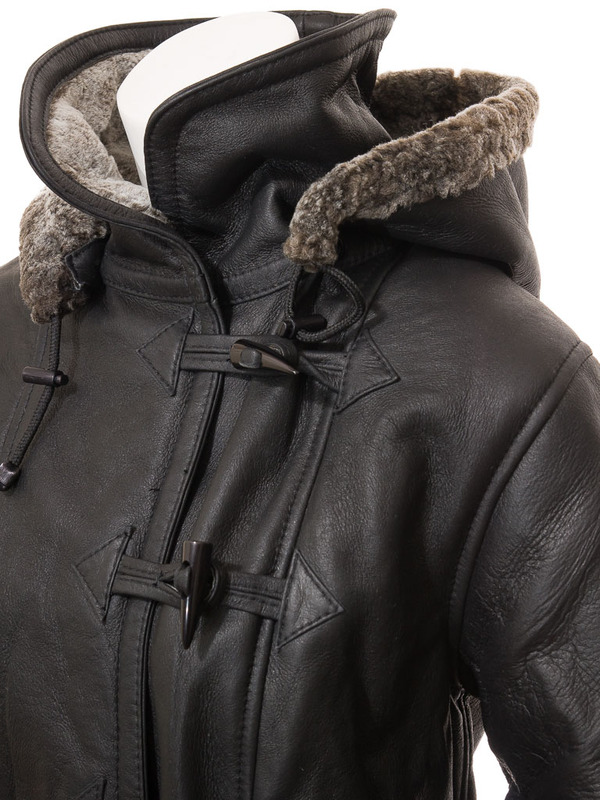 Unusually for a duffle coat the fleece lined hood can be removed revealing a neat stand collar.